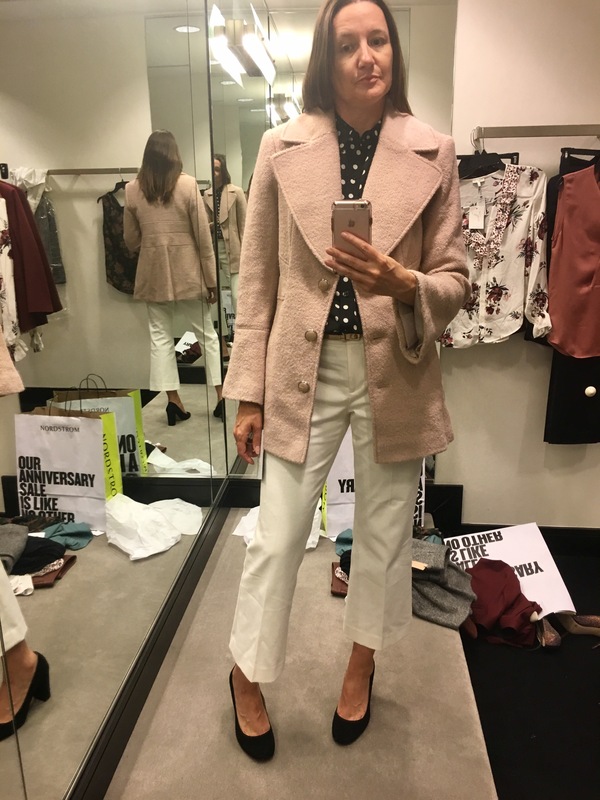 Nordstrom Anniversary Sale Roundup Week continues on My 9 to 5 Shoes! Everyday this week I have been picking the best of the best in several different categories. Today’s focus is Jackets. I’ve already covered Suits, Skirts and Shoes which leaves Dresses as the big finale on Friday-just in time for the start of Public Sale Days on July 21st. Smattered in each of those categories you will also find a few other fun pieces. 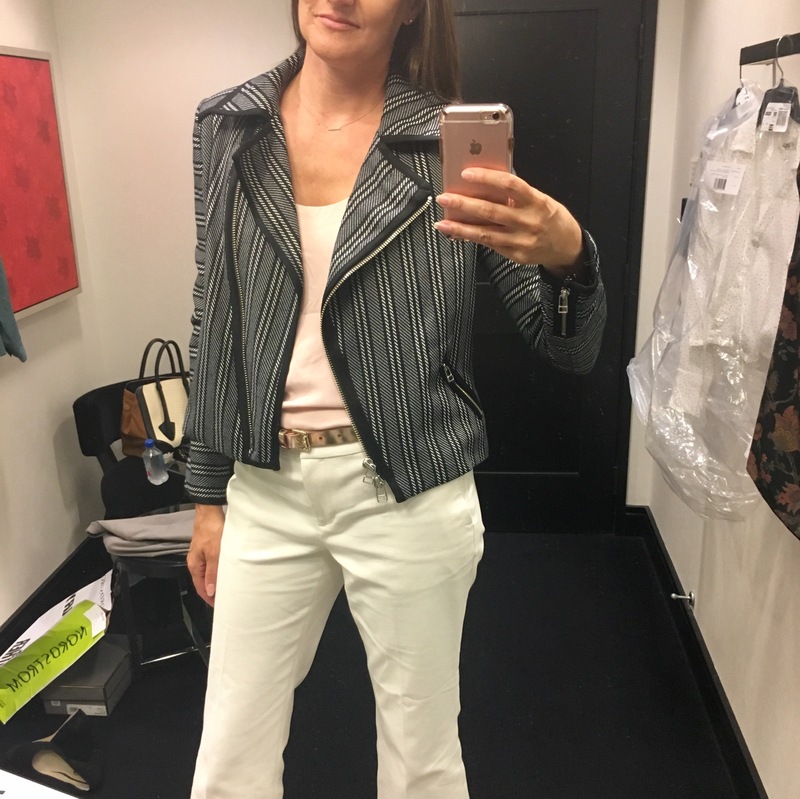 I tried everything I could get my hands on so you can see the item on me as well as the Nordstrom model. I’m rarely a trumpet sleeve or peplum cut kind of girl – so to get a piece with both features is a little like living on the wild side. This one just called to me. It was just too fun. 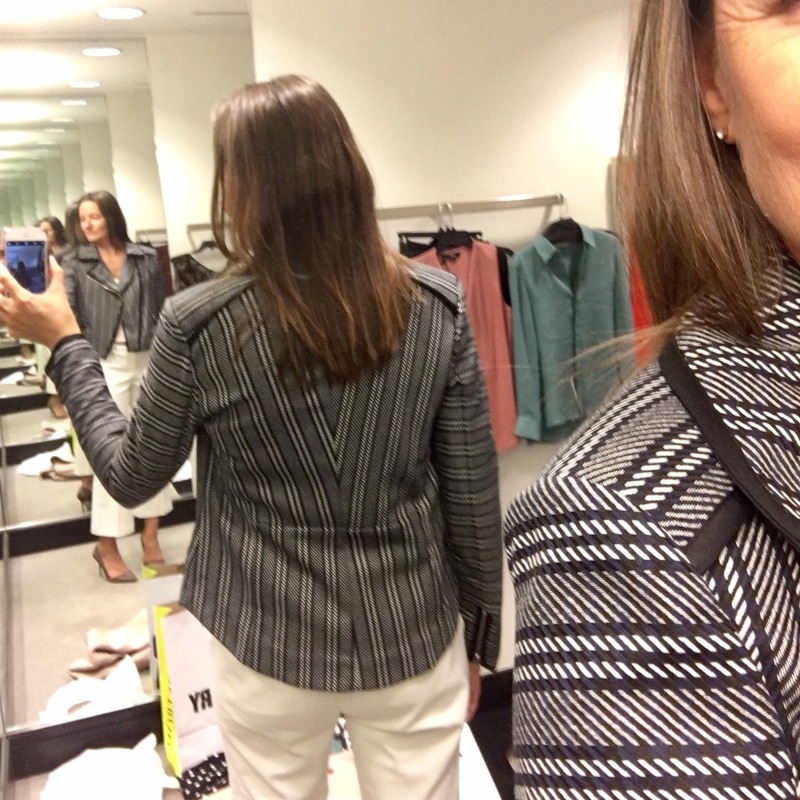 It’s a great transition piece and it will pair with lots of colors and styles – I also tried it with the crop flares. #Perfection #JustTryIt It does come in Black and Blush too but those colors are not a part of the sale. Three is also a Halogen one that has the sleeves but the not the peplum. This one is currently sold out but the similar one is still available. Watch my Facebook page for restock updates! You’ve reach the end – time to shop!! Be sure to come back tomorrow for the Final Roundup and Review! Until then Happy Shopping!